Premiering at the Adelaide Film Festival Pop Up Event on Friday the 5th of April, Animals is directed by Adelaide’s very own, Sophie Hyde. Fresh from its screening at Sundance, Animals enjoyed incredible success with critics impressed by the movie’s fantastic leads (Holliday Grainger and Alia Shawkat) as well as the film’s realism and honesty. Animals leaves the audience with a deep sense of reality and honesty. Here is a comedy that completely understands the realism of friendship, in ways most Hollywood features do not. Below is a list of four films (and a TV show!) that, like Animals, possess incredible authenticity and naturalism. Directed by Gillian Robespierre (Obvious Child), and starring Jenny Slate, Jay Duplass, John Turturro and Edie Falco, this is a highly underrated comedy. Set in 1995, the film revolves around two sisters (played by Slate and Abby Quinn) who discover that their father (Turturro) is having an affair. Filled with heart, comedy and a sharp script, we simply cannot recommend this feature enough. 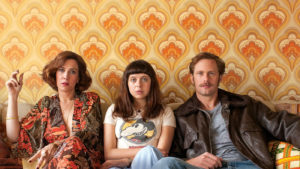 Much like Animals, Marielle Heller’s 2015 film, The Diary of a Teenage Girl, premiered at Sundance and was met with universal acclaim. Starring Bel Powley, Kristen Wiig and Alexander Skarsgard, this film takes a taboo subject (the sexual awakening of a teenage girl) and explores it with comedy, passion and honesty. A contemporary classic. Created by Lena Dunham (Tiny Furniture), Girls is the quintessential New York-comedy. Featuring an all-star cast which includes a pre-Star Wars Adam Driver, Allison Williams (Get Out), Jemima Kirke (Maniac), Zosia Mamet (The Kids Are All Right) and Andrew Rannells (The Book of Mormon), here is a classic. Take your time with this one, you can thank us later. Before Greta Gerwig helmed Lady Bird, she starred in a number of films by Noah Baumbach. Often overlooked in favour of their 2012 film, Frances Ha (which is also brilliant), Mistress America follows a college freshman (Lola Kirke) who finds herself pulled into the wacky schemes of her future step-sister (Gerwig). Co-written by Baumbach and Gerwig, Mistress America is a criminally underrated comedy that has its heart in the best place. 52 Tuesdays marked the directorial debut of Sophie Hyde, who returns to the big screen with Animals. Starring Tilda Cobham-Hervey (Hotel Mumbai), this film truly showcases Hyde’s power as a storyteller. In the film, a 16 year-old’s reluctant path to independence is accelerated when her mother reveals plans to gender transition and their time together becomes limited to Tuesday afternoons. Much like real life, 52 Tuesdays finds humour in moments of absolute sadness. A deeply personal feature, we cannot recommend this film enough.